The Kask Protone Helmet is the ultimate aero road helmet. 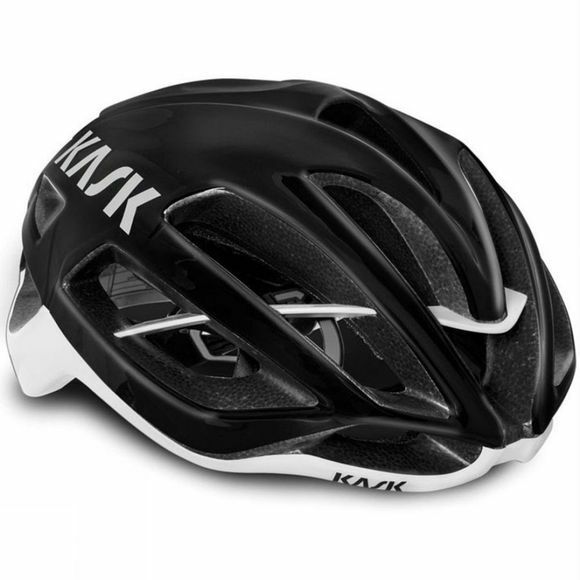 Kasks most advanced was developed in calibration with Team Sky and utilised Jaguars wind tunnel expertise. The Protone has incredible heat dissipation properties and is lightweight. The Protone uses a washable fast wicking and fast drying comfortable padding system. With a leather strap and self-adjusting internal cage and ratchet system, the rider is able to achieve optimum comfort making the Protone the most comfortable and helmet on the market.